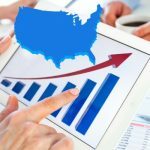 Home / Articles / Finding A Spanish Speaking Dentists Near Me- Hablamos Espanol! If you speak Spanish, it is important that there are Spanish-speaking dentists near you. In fact, it is vital to your health that you and your dentist are able to communicate properly without struggling to understand one another. Unfortunately, not all dentists are bilingual and not all dentists can properly communicate dental conditions to their patients who do speak Spanish. 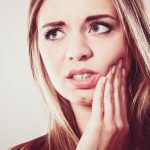 To solve this problem, you should look for a Spanish speaking dentist or a dentist that is able to communicate with you in your native language. One out of every six people in the United States is of Hispanic decent, so there is a serious need for dentists who can communicate, diagnose, treat, and educate patients about their dental health in Spanish. In fact, 60 percent of Hispanics admitted in a study performed by the Hispanic Dental Association, that if more dentists and hygienists spoke Spanish, they would be able to maintain good oral health. The team at Emergency Dentists USA is committed to helping you locate Spanish-speaking dentists in your hometown or nearby. You can rely on our team to assist you when you want to find a bilingual dentist. If you are looking for a Spanish-speaking dentist near you, then you may be wondering just where to start. It can be difficult to narrow down where to find a bilingual dentist, especially if you have never tried before. One of the first ways to look for a Spanish-speaking dentist is to look for web content that is in Spanish. Often times, offices that offer bilingual services or offices that have Spanish-speaking staff will advertise it and let you know. This way, you know you can communicate with your dentist. Another way to find Spanish-speaking dental practices is to perform a search online in your local area. You can search terms such as “Spanish speaking dentist near me” or “Spanish speaking dentist” or “Spanish speaking dentist in my area.” The displayed search results can help you narrow down your search. The team at Emergency Dentists USA has also provided you with a list of Spanish-speaking dentists nearby. 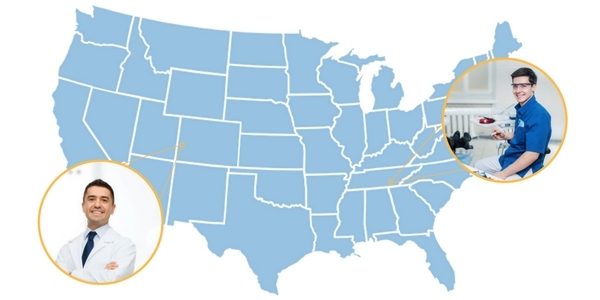 You can search through our results to identify and locate bilingual dental offices near you or easy as calling to our number. In addition, you can find some helpful Spanish dental resources from the ADA when you follow this link. Yes. There are many dentists who speak Spanish and are bilingual. If you are looking for one, check out our helpful list to help you identify offices nearby. Why should dentists speak Spanish? Dentists should speak Spanish or have bilingual staff on hand because it is important for all dental problems to be communicated effectively. Spanish-speaking dental patients need to know about their dental health as well, and if there is a communication barrier, it can lead to misinformation or poor dental care. 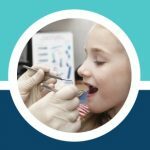 What is my dentist does not speak Spanish and I do? If you speak Spanish and are unable to communicate in English, it is important that you find a dentist who can speak Spanish or bring along a translator or friend that can properly relay conversation between yourself and your dentist. Should you be unable to, but the dentist has bilingual staff on hand, they can assist translating between you and the dentist. Do dentists offer pamphlets or care instructions in Spanish? Most dentists do. In fact, even if the dental office is not considered bilingual, they will often provide patients with information in both English and Spanish. 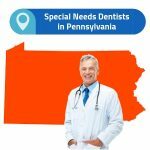 As you look for a Spanish speaking dentist near you, take a moment to look through the list of dentists on Emergency Dentists USA. We have compiled a list of Spanish speaking dentists in the local area and you can browse through them to locate one near your home. Not only is our website easy to use, you will be able to quickly identify local Spanish speaking dentists in a matter of minutes. 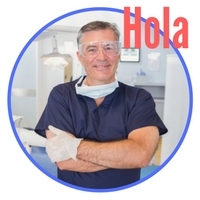 Get A Local Spanish Speaking Dentist - Hablamos Espanol - Click to Call Now!